No need to adjust your screen. You read that correctly. EGG-FREE MERINGUES! “How is that possible?” I hear you ask. Well, it goes a little something like this. A few months ago, I noticed a bit of hype on the airwaves about the magic of chickpea brine and how it behaved like eggs in baked goods. You know chickpea brine. It’s the liquid you get in a can of chickpeas. It’s a cheap, everyday product that is readily accessible in supermarkets. You’ve probably got a can of chickpeas in your pantry right now. This blew my mind so I had to find out more. I clicked onto this article by Food 52, which is one of the most reputable and highly respected foodie sites in the United States. Sure enough, it seemed true and it included tips on what quantities to use as an egg replacer in baking. So if you or your child needs to be egg-free, it’s well worth a read. After that, my blogging buddy Janet, a Coeliac chef who blogs at So I Burnt Dinner, posted the successful results of her cooking students experimenting with the idea. On the weekend, we had guests for lunch. I was opening a few cans of chickpeas. “What the hell,” I thought. I dug out my Australian Gluten-free Life mag and put some brine in the mixer. It took about 15 minutes to whisk it into stiff peaks. Once the sugar and other ingredients were added, it tasted just like meringues. The mixture was stiff enough to pipe onto a tray, as you can see from the photo above. After they’d been baked, they were white and, even though I’m no meringue connoisseur, tasted just like the real deal. They did go a little soft after they’d cooled, so I just popped them back in the oven and they crisped up like a dream. 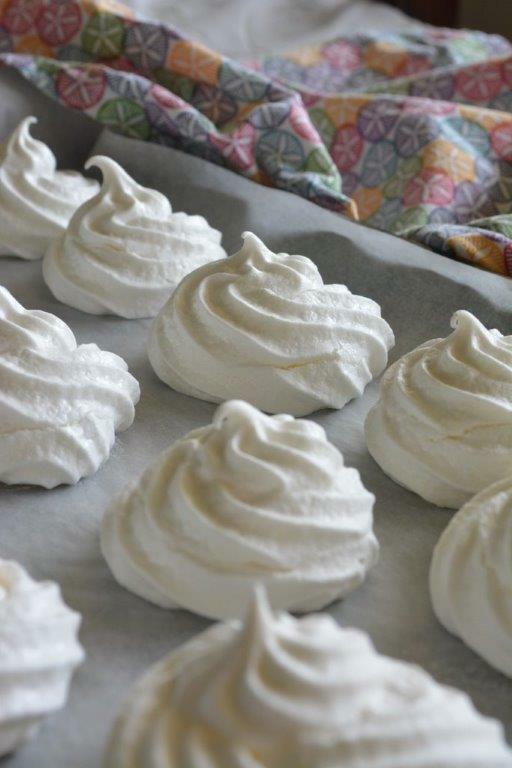 A little bit goes a long way – the recipe yielded about 35 meringues, for a fraction of the price of egg meringues. And just for good measure, vegan. 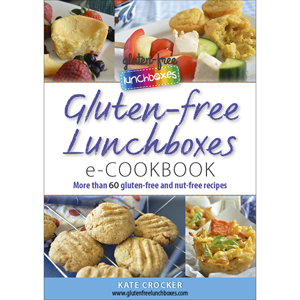 So if you or your little one need to be egg-free, spend a little time to look into chickpea brine as an egg replacer. Trust me, it’s amazing. Preheat fan-forced oven to 120° Celsius. Line one or two baking sheets (or cookie trays) with baking paper. Place the brine in a large bowl and beat with an electric mixer until soft peaks form. Gradually add sugar, beating until dissolved after each addition. Add cream of tartar and continue to beat until soft peaks form. Stir through vanilla essence and rosewater. Place spoonfuls of the mixture onto a prepared tray. Bake for 30-40 minutes or until crisp. That is AMAZING! Next stop, pavlova?! They look great Kate! Thanks for sharing.